Having a nice garden isn’t enough – to make it perfect, you need to have a great porch. For some this means having plenty of mini pots with colorful flowers, while for others it means having big, clay pot. There are few ways to play with pots and flowers and all of them don’t require too much time. Below you will find ten ideas, all of them showing you how to decorate your porch with flower pots. There is something for everyone’s taste – from vintage chairs to stacked polka dots pots. If you want to get away from the ordinary, you can switch from using ceramic pots to clay pots. 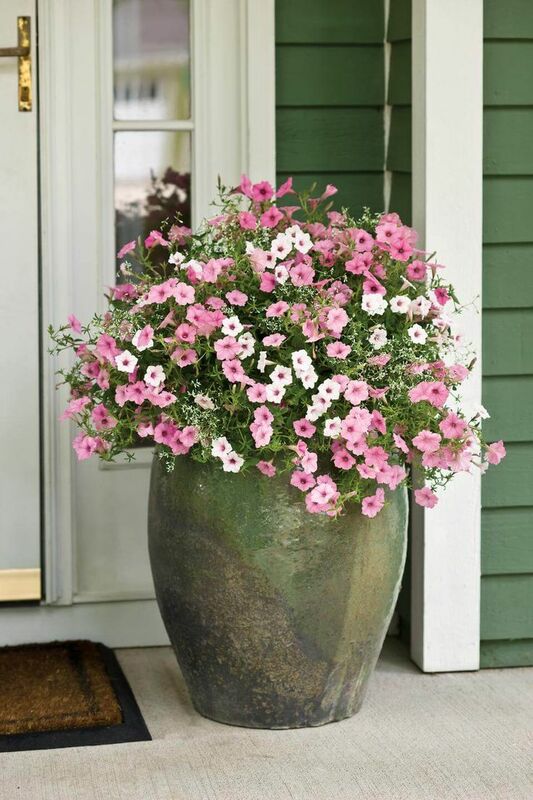 Choosing big pot will be a good detail for your porch, but being grey and dull won’t make a good difference, unless you pick the right flowers. For this, you can go for pretty pink or any other vibrant colored – flowers, such as azaleas, roses or carnations.